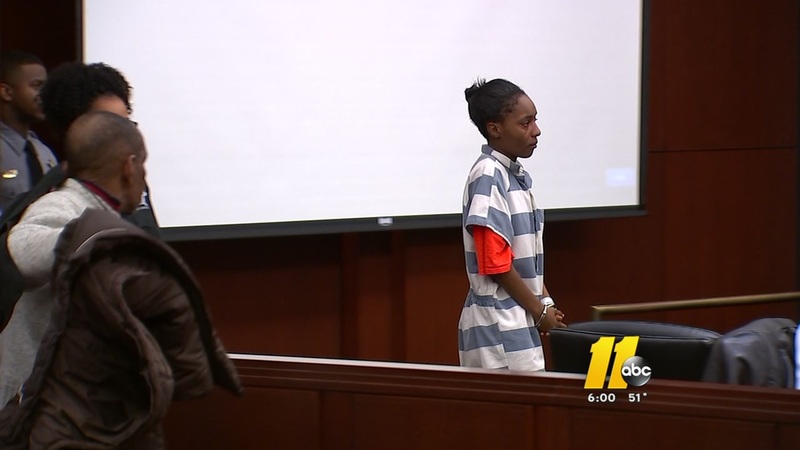 Brianna Ashanti Lofton in her first court appearance on March 22. RALEIGH, N.C. (WTVD) -- The mother of a 1-year-old baby shown in a Facebook video smoking pot confessed to giving the drugs to her child, according to the search warrant. The warrant states 20-year-old Brianna Ashanti Lofton "confessed to the act." Lofton is facing charges of felony child abuse, contributing to delinquency and possession of marijuana. Brianna Ashanti Lofton is facing multiple charges. A version of the video that received more than 1 million views was posted by a user who urged the mother's arrest. The 10-second video showed the hand of an adult off-screen holding what appeared to be a cigarillo to the child's lips. The child then appeared to inhale and puff smoke. Allan Maldonado, 18, is also facing charges of contributing to the delinquency of a child and possession of a Schedule VI controlled substance.